In this blog, I’m focusing on information for men - explaining what the menopause is and what is going on in a woman’s body. The symptoms that occur at the time of the menopause can be confusing and often have women think they are going crazy. Women sometimes get hot flushes, night sweats as well as panic attacks and palpitations. Many begin to question themselves and find themselves with low self-esteem, gain weight, feel achy, have trouble sleeping, suffer from headaches and terrible mood swings. What is happening at menopause? During the menopause, a woman’s nutrient levels become low, which stops the brain functioning normally. If the brain isn’t well nourished it will not work properly, cannot send the right messages and therefore hormones do not function as well as they should. Additionally, Oestrogen levels in the body start to fall at the time of menopause. When a woman is younger Oestrogen circulates around her body but as she gets older her ovaries stop making this hormone. Its this lack of Oestrogen which causes many of the symptoms at menopause. To overcome the symptoms, she needs to get herself back into good nutritional shape and boost her levels of oestrogen naturally, through eating the right food and supplements. A woman can address it and get herself back into good shape if she has the right information. 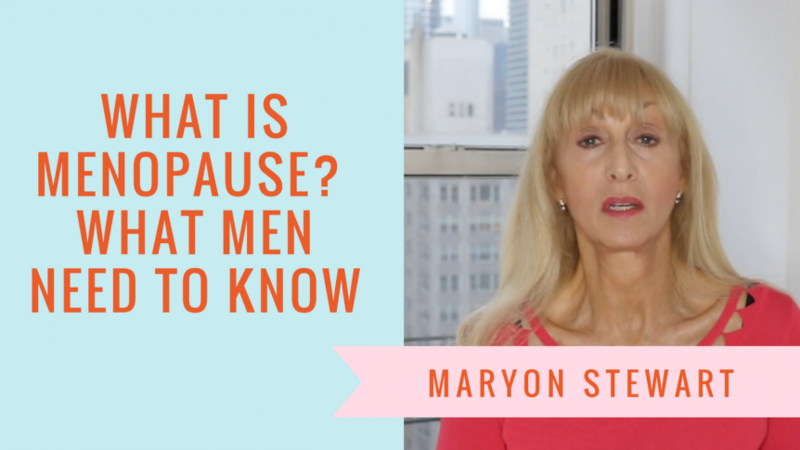 If you’re a woman reading this post, make sure you share it with your boyfriend, husband, partner so they can understand what you are going through and help support you, and also encourage the men in your life to join my Facebook group, just for them Men-O-Pause. Tags:hot flushes menopause, menopause, menopause for men, Menopause symptoms, night sweats menopause, palpitations, panic attacks menopause, What Is Menopause?